Last year, this day was marked by a large gathering at Lock 1 at Blanchetown to re-enact the laying of the Foundation Stone signalling the start of locking the river. Just as had happened 100 years before, the PS Marion arrived carrying guests, a band played, children formed a guard of honour and speeches were made. 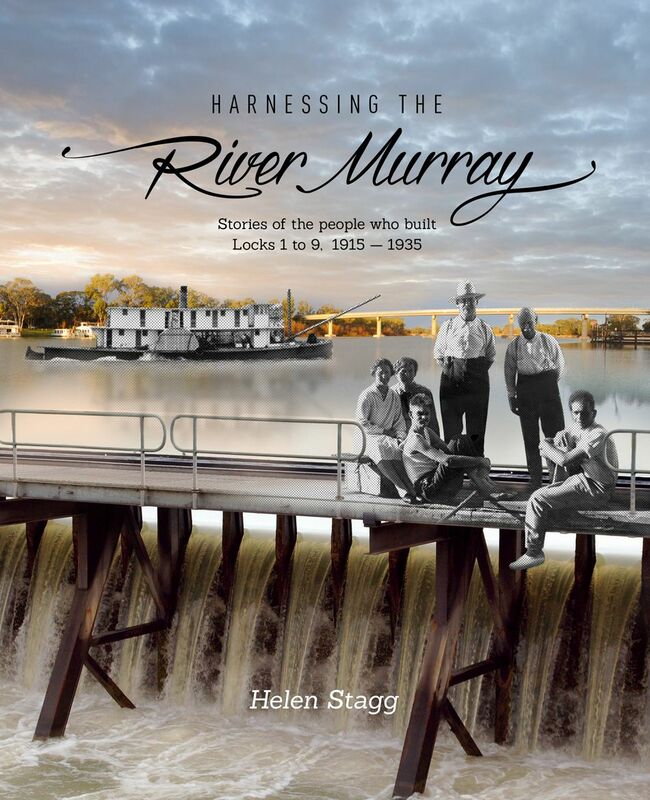 Also my book, Harnessing the River Murray, stories of the people who built Locks 1 to 9, 1915-1935, was officially launched. 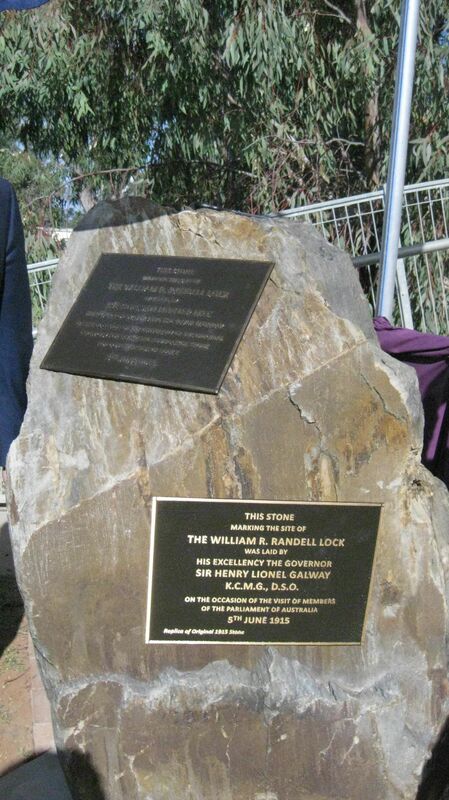 A stone to mark the site of the first lock in South Australian territory will be laid by the Governor (Sir Henry Galway) next Saturday afternoon (June 5th). A large Parliamentary party will leave Adelaide on Friday evening for Murray Bridge, where they will go aboard the S.S. “Marion”, which is being especially fitted up for the occasion under the supervision of the Chief Engineer of the Gem Navigation Company (Mr. Fuller). 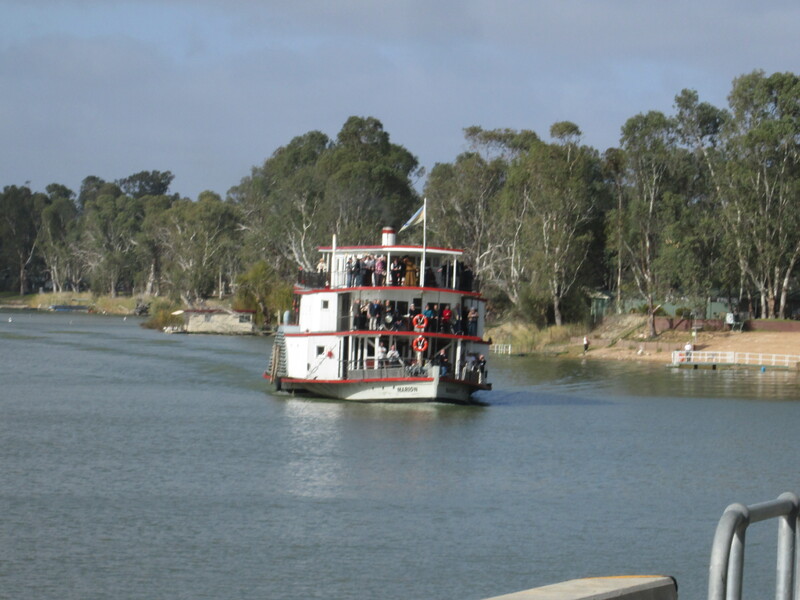 Including the crew, there will be over 120 passengers on the boat, which will be the home of the party till the following Monday morning, when a special train for the city will be boarded at Goolwa. The Prime Minister (Mr. Fisher) and Mr. Holman (Premier of New South Wales) are expected to be members of the party and to speak at the stone laying function. This is timed to take place at 2 p.m., but a glance at the timetable indicates that it may possibly be later. Parties from Renmark and Loxton will probably motor to Blanchetown to witness the ceremony. As the first lock is to be called the William R. Randell lock, it is fitting that Captain Randell [W. R’s son, who was chief engineer and water master for the Renmark Irrigation Trust] should be among those going from Renmark.